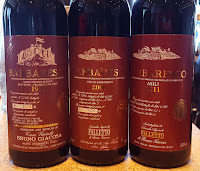 I often talk about Barolo, and I am quick to add in a Barbaresco note or bottle to a tasting whenever I see fit. However, what you will hardly ever see in these pages is a tasting centered around Barbaresco. The reason for this, much like the reason why Barolo is more well-known than Barbaresco, is that as collectors get to know the region, there has always been a certain bias against Barbaresco, placing Barolo in their minds as the better wine. First, let’s put that idea out of our heads, because it simply isn’t true, but unfortunately it took me many years of tasting–and something of a paradigm shift–to realize it. 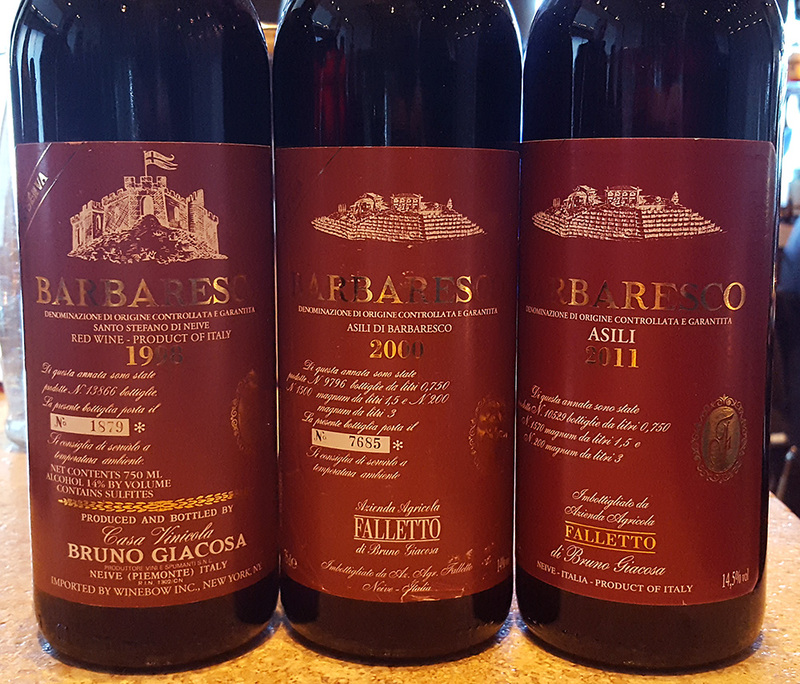 The change started over many years of tasting, as once in awhile we would throw a Barbaresco into a blind Barolo lineup. It didn’t take long to realize that these wines were finishing with top ranks. Keep in mind that I’m not just talking about Gaja and Bruno Giacosa. 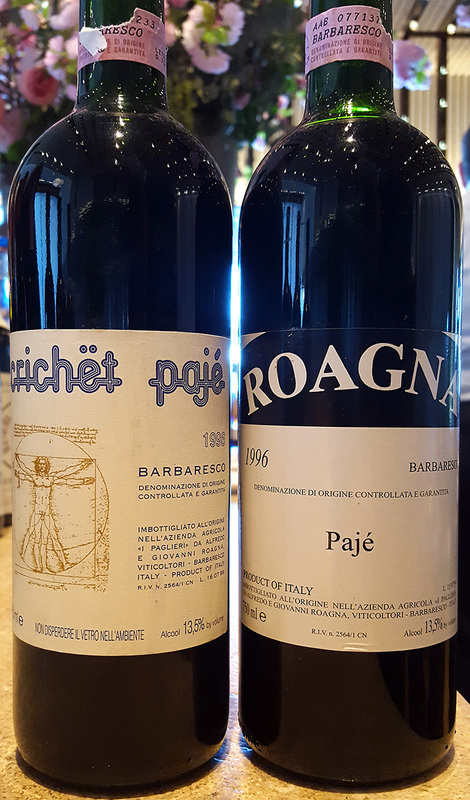 Produttori del Barbaresco and their portfolio of Riserva wines have long been the Barolo collectors’ secret love affair with Barbaresco, and they are perfect examples of how affordable a great Barbaresco can be and how well they can age. What we’ve also seen in the last decade is an awakening of producers in the region. Some producers who had contributed their grapes to the Produttori parted ways to start their own labels and perfect a unique style, while others suddenly realized that the ground beneath their feet was worth showcasing, and they decided to clean up their cellars or take new oak out of the picture. Cigliuti, Paitin and Sottimano quickly come to mind as a new breed of winemaker that is changing what people think about the region. Speaking of producers, it also pays to note that compared to Barolo, Barbaresco is more dominated by small family-run wineries (many of which contribute to the Produttori del Barbaresco), and these families produce only a small amount of wine. What this means for collectors is that we see much less Barbaresco in the market, giving Barolo yet another leg up and much more facetime with consumers. There is one other important point, and that is how the wines mature. 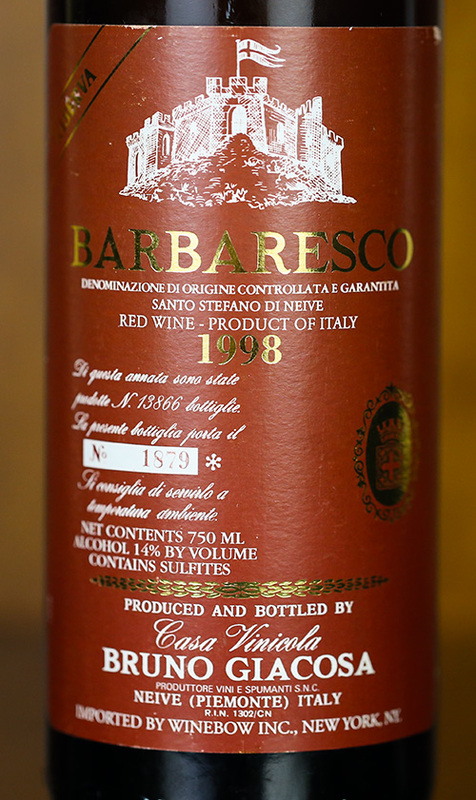 For the longest time, Barbaresco was thought of as a softer version of Barolo, and one that couldn’t age as well. 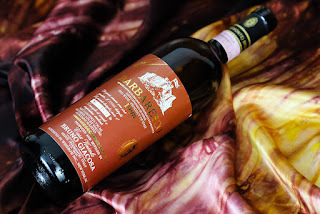 While I will agree that the tannins in Barbaresco generally require less time to mature than the average Barolo, the fact is that they can age just as well. Much of this has to do with terroir, which shares many similarities with Barolo but also a few drastic differences. The soils in both regions are mainly calcareous marls, yet in general, the soils of Barbaresco are richer in nutrients, and in some locations, they contain deposits of sand. 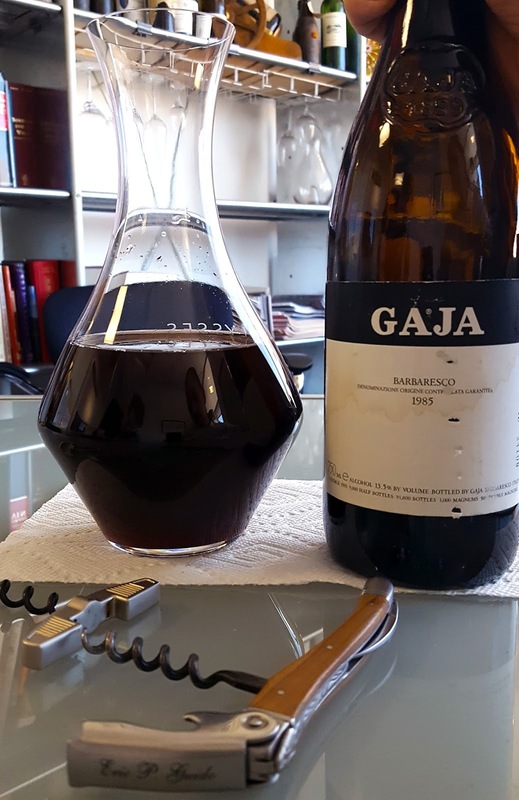 There’s also the moderating effect of the Tanaro river, which is one of the key elements thought to be responsible for the superior wines produced by Gaja, whose vineyards benefit directly from the river’s warming breezes by day and cooling breezes at night. Lastly, there’s the required aging regimen in wood, 18 months for Barolo versus 12 months for Barbaresco, yet you’ll find many of the region’s producers aging their top wines longer. 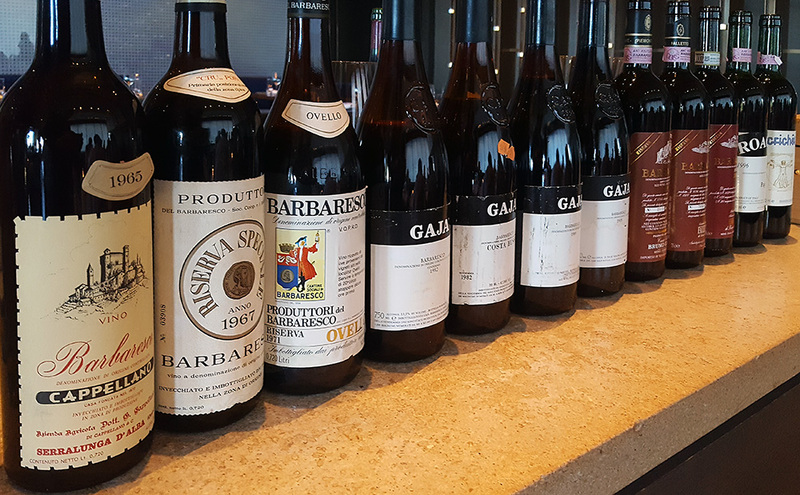 What it all comes down to is that Barbaresco is not just worth a Barolo lover’s attention, it should be required, and anyone who ignores these wines is simply doing themselves an injustice. Barbaresco provides all of the classic flavor and aromatic profiles that we love from Nebbiolo, often maturing a little earlier, but also lasting in the cellar for decades–and all of this at what is often a better price. This brings us to our most recent tasting at RiverPark in New York City. 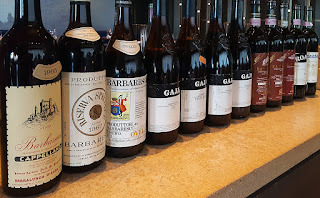 The theme was simply Barbaresco, but the producers were the top names of the region. 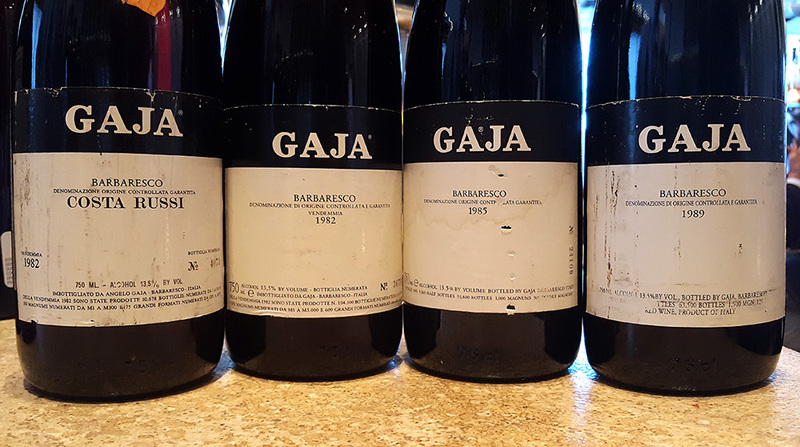 Produttori del Barbaresco, Gaja, Bruno Giacosa and Roagna all filled the table. As is usually the case with this group (a bunch of Barolo lovers who met and organized on Antonio Galloni’s Vinous forums), the big gun always come out. The best part is that it’s never about showboating or trying to one-up each other; with this group it’s simply about sharing great wine with good friends. 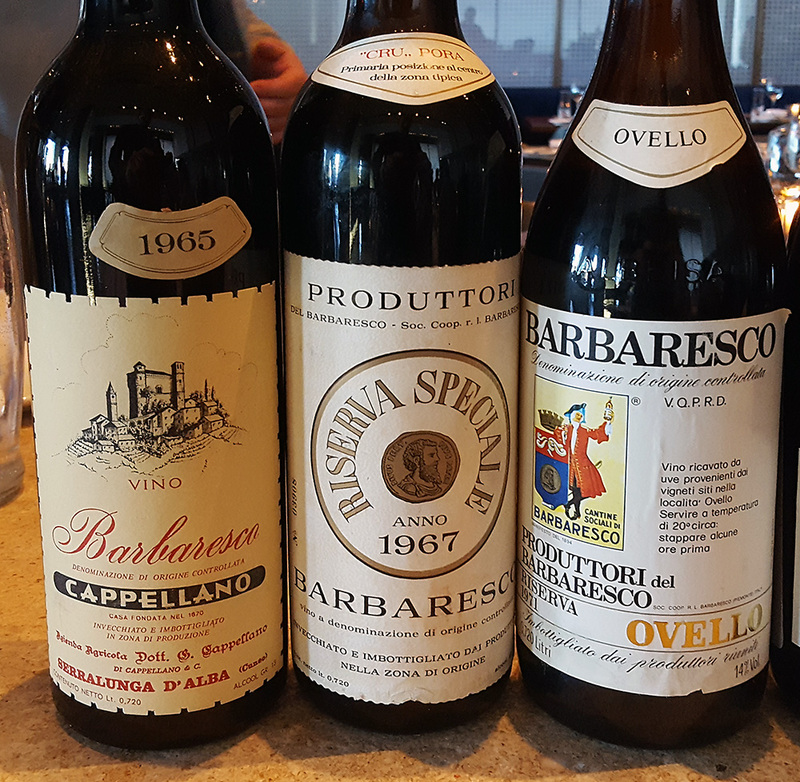 Our first flight was originally intended to be a showcase of older wines, but due to a corked bottle of ‘65 Cappellano, it turned out to be more of a Produttori del Barbaresco flight. What is there to say? This was the flight for the true lover of mature Nebbiolo. Both bottles were completely mature, and unfortunately the Ovello was a bit over the hill (possibly not a perfect bottle). With that said, I still enjoyed it. As for the ‘67 Pora, it showed all the hallmarks of perfect maturity and an unexpected richness and meatiness that made it the wine of the flight. 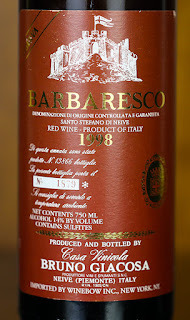 I simply love mature Barbaresco. 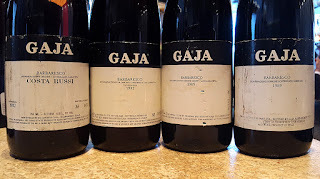 The Gaja Flight was a real treat. The best part about it was to see just how enjoyable the entry-level Gaja Barbaresco can perform and mature. 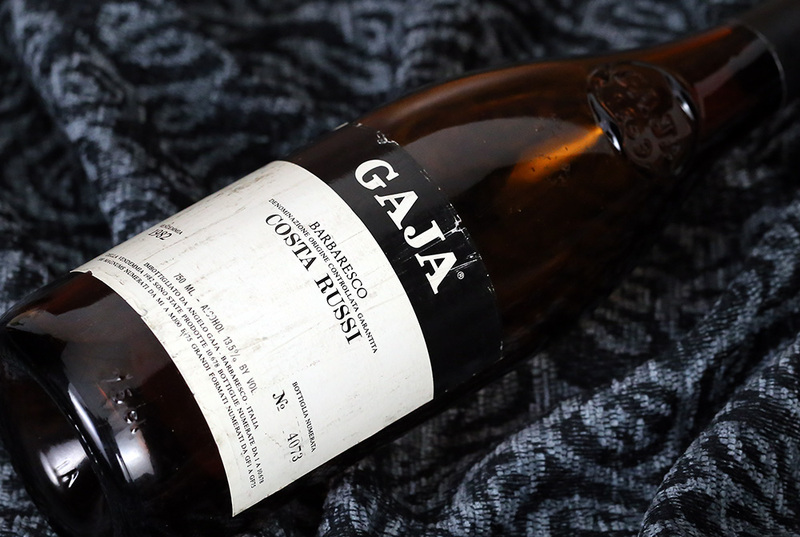 No Gaja is ever cheap, but it is a breath of fresh air to see the most affordable wine showing this well with age. Both ‘82s were gorgeous, and you could sense the stamp of the producer between the two of them. However, in the end, the Costa Russi simply had a depth that the ‘82 normale couldn’t touch. That said, I’d take either wine any day of the week. Then there was the ‘85, which was so pure and wonderfully drinkable in its maturity that it stopped me in my tracks. Lastly, the ‘89, one of my top three wines of the night, was simply gorgeous. I strongly urge readers to pay attention to these wines when they show up in the market, because they represent great relative value. The Bruno Giacosa flight was, as always, highly anticipated and quite a revelation. I must note that I added my note for the 1970 Santo Stefano, which was not at this original tasting, but was tasted only days later with the same preparation as all of our other bottles. In this flight, I witnessed the feminine elegance of Santo Stefano first-hand. The ‘98 was a gorgeous wine and, in the end, the wine of the night for me. To be able to taste the ‘70 only days later and revel in the similarities of the two of them was also a great opportunity. We also had the controversial ‘11 Asili, which I found to be a good wine, but far from what I’d expect from a Giacosa Barbaresco. Lastly, the 2000 Asili, a wine that I believe needs more time to truly show its virtues. In the end, this was a tremendous flight. The Roagna flight was most memorable for just how different yet equally enjoyable the ‘96 Paje was from the ‘96 Crichët Pajé (made from vines at the crest of the Pajé cru with extended time in barrel and late release). From the collector’s and wine lover’s standpoint, I couldn’t be happier about this, as the former costs a quarter of the price of Crichët Pajé. However, neither wine was better; instead they were simply completely different. 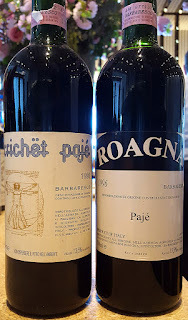 Numerically, I scored them nearly the same, but in the end I had only a small preference for the Crichët Pajé, and mainly because it possessed more richness, while the straight Pajé was all about energy.